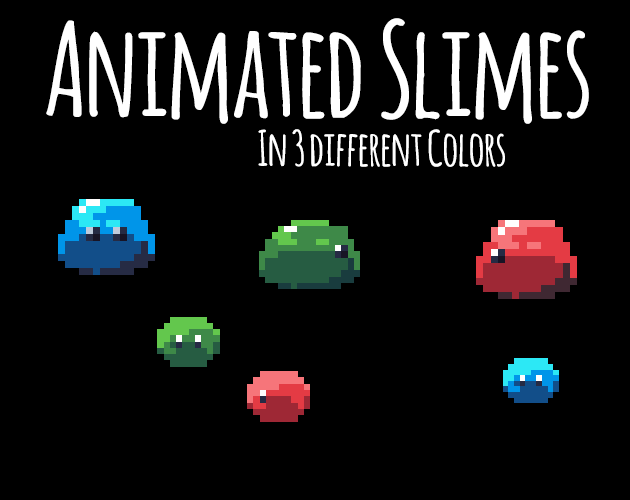 Two different slimes animated in each direction and exported in 4 different colours. Each animation is drawn by hand and is exported on it's own sheet with transparent background. 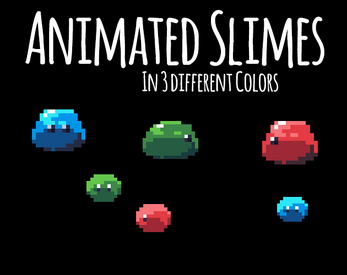 I've used the Endesga 32 Palette to create these.